While automation isn’t the newest form of technology in the press today, it is arguably primed to have the greatest impact on how people and businesses operate in the next decade. From sleek self-driving cars to redefined retail models, technologists and consumers alike are still scrambling to understand and harness its potential in business and personal lives alike. From an enterprise standpoint, many business and IT leaders have already begun to take steps to leverage automation. On the other side of the coin, many still struggle to identify the most beneficial tasks to automate; to successfully sell the idea to stakeholders; and to learn (or hire) the technical expertise required for its execution. For the purposes of this column, automation refers to a workflow that operates independently or without constant human oversight. While people will continue to play a significant role in the rise of automation, successful initiatives see automation deployed in place of traditional manual systems like customer and IT support, onboarding, and product patching, to name a few. Engineers and high-skill IT personnel will be tasked with identifying automation targets and variables in each workflow, gathering inputs and outputs, as well as simplifying and troubleshooting automated workflows as they are deployed. Possible applications of automation technologies are vast—from single tasks to more complex, interconnected algorithms dependent upon the actions of other users or environments. In the coming years, nearly all IT teams and business leaders will entertain the idea of automating some aspect of their businesses. So what do we automate? This is both one of the most common inquiries around automation, as well as its primary barrier to implementation. While the answer will be business-specific, a logical starting point for many will be repeatable, low-skill processes. Identify tasks within each department—be it marketing, finance, sales, or even legal—that people manually perform on a daily basis, and ask if they could be automated. Frequently, these repetitive tasks consume a considerable amount of time from junior team members; organizations with an accurate and granular look at their service delivery, combined with solid benchmarking metrics, will be able to hone in on opportunities for automation. Experimenting with simplified, low-risk processes is another option. IT leadership needs to cultivate experience transitioning from manual to automated models; implementing automation on select internal processes is important before jumping to complex, customer-facing projects with greater associated risks. Business and IT pros who don’t look to employ automation in the coming year face losing their competitive edge. This is especially true for service providers; Gartner estimates a 25 percent drop in customer retention in 2019 for those failing to incorporate automation into their roadmap. Furthermore, automation introduces benefits for both service providers and customers. Customers see an improved experience due to better consistency in the services provided, improved response times, and often lower costs. These are benefits for the service provider, too: improved user experiences increase the lifetime value of customers and brand loyalty. Automation empowers organizations to optimize internal resource allocation, capitalize on opportunity costs, and enables businesses to scale while ensuring consistency in customer experience. With automation, businesses are either saving or making money. 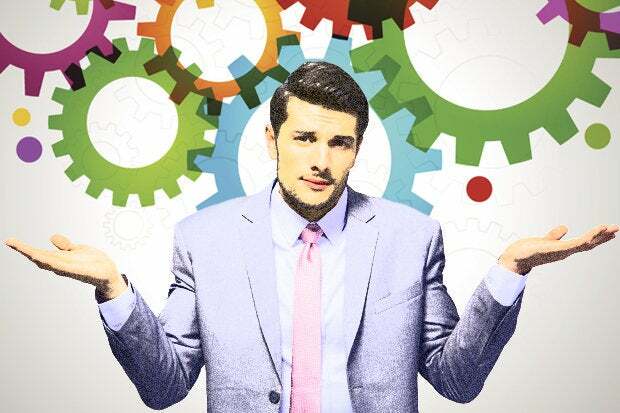 Successful versus unsuccessful deployments of automation will depend on business decision makers’ ability to combine answers to “what” they should automate with the “when.” This leads back to cost. Most direct costs make it into the budget, yet it’s the indirect and opportunity costs where the benefits of automation truly lie. Indirect costs can be more difficult to measure, but are equally as significant as well-documented direct expenses. Common sources of indirect costs include overtime labor from failed or delayed service deliveries, extended periods of network downtime, and simple human errors like poor code or inaccurate data entry. Indirect costs are often unpredictable; however, savvy business and technology leaders will be able to identify patterns where they occur, which present opportunities for automation and better margins. When organizations incur indirect costs, it eats into the profit pool of all the other services an organization delivered successfully and on time. Reducing revenue leakage by limiting indirect costs helps businesses improve their bottom line. Automation also allows teams to capitalize on another category of costs: opportunity costs. With employees freed from time-intensive, low-skill tasks, organizations improve their resource allocation by matching the right people to the right projects. Senior engineers are empowered to tackle more technical, complex projects while junior engineers (often the individuals performing lower-skill tasks) are better positioned to support and grow in the organization. Finally, as businesses look to scale, automation allows for growth and expanded service offerings without ballooning their headcount. With successful automation workflows, additional customers and services can be covered by the existing team, pushing margins higher while improving the consistency and speed of the service. Ultimately, people can do more with less.